This is probably TMI, but for years I’ve harbored a fantasy of creating a holiday card of me lying in bathtub covered with cranberries. Sort of like that Annie Lebovitz portrait of Whoopi Goldberg in a tub of milk, but holiday themed, with cranberries. You too can fantasize about swimming in a sea of cranberries, especially if they are baked into an upside down cake like this one. Cranberry jewels surrounded by a caramelized sauce cover the surface and bleed their tart sweet flavor into a dense, orange-zest speckled cake. Upside down cakes are somewhat of an obsession around here. We love our pineapple version (the most requested cake at our family gatherings), and my father is known for trying every upside down cake recipe he sees. He gave this cranberry cake his seal of approval, by coming back for more, even after I sent him home with half the cake. Baking times will vary, depending on the brand of flour, size of pan, thickness of sour cream. The batter should be gloppy, not runny, so add a little more flour to get to gloppy if your batter is too thin. Some readers have needed to cook this cake longer than the baking times indicated, so definitely test before turning out! 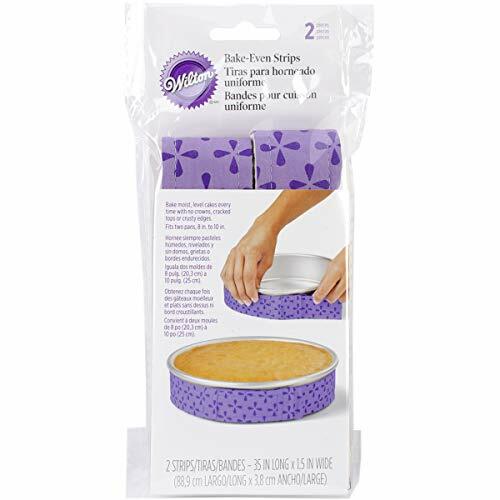 1 Butter a 9-inch cake pan: Generously butter the bottom and sides of a 9-inch diameter cake pan. 2 Make caramel topping with brown sugar and butter: In a small saucepan, place the 1/4 cup of butter and the 3/4 cups of packed brown sugar. On medium high heat, stir the sugar as the butter melts. Once the butter is melted and mixed in well with the sugar, stop stirring and let the mixture simmer for 15 seconds or so. 3 Pour brown sugar mixture into cake pan and top with cranberries: Pour the brown sugar butter mixture into the prepared cake pan. Spread the cranberries on top of the sugar butter mixture. 4 Whisk together flour, baking powder, salt, cinnamon, ginger, cloves: Preheat oven to 350°F. In a medium bowl vigorously whisk together the flour, baking powder, salt, cinnamon, ground ginger, and ground cloves. 5 Beat butter, add sugar, add eggs, stir in zest: In a separate bowl, use an electric mixer to beat the butter until light. Add the sugar and beat together the sugar and butter until fluffy. Add the eggs one at a time, beating after each addition. Stir in the orange zest. 6 Alternate adding sour flour mixture and sour cream, then add milk: Mix a third of the dry ingredients into the mixture. Beat in half of the sour cream. Mix in another third of the dry ingredients. Mix in the remaining sour cream. Beat in the remaining dry ingredients and then the milk. 7 Pour batter into cake pan and bake: Pour batter over the cranberries in the cake pan, and smooth the surface. Place in the preheated oven and lower the heat from 350°F to 325°F. Bake until a tester comes out with just a few moist crumbs, and pressing down on the surface bounces back, 55 minutes to an hour. 8 Cool cake in pan, run knife around edge, turn over onto a serving plate: Cool cake in the pan on a rack for 10 minutes. Run a blunt knife around the inside rim of the cake pan to loosen the cake from the sides of the pan. Then turn the cake out onto a platter. Hello! All photos and content are copyright protected. Please do not use our photos without prior written permission. If you wish to republish this recipe, please rewrite the recipe in your own unique words and link back to Cranberry Upside Down Cake on Simply Recipes. Thank you! A 9″ square pan might work but a 9″ round cake pan you end up with batter all over the bottom of your oven! Hi Robin, as mentioned in the recipe you need a cake pan with at least 2 inch high sides. Most standard cake pans are shorter than that. I make it in an angel food cake pan so the middle cooks evenly. My sister got this recipe from here and shared it with me. Absolutely delicious. I did a variation by adding pecans in with cranberries. Adds a nice crunch. If you’re not going to use the cranberry bath photo shoot idea, I might! Hi Debbie, I have never made or served this cake with a sauce, sorry! This recipe is a keeper! I made this in a 9×3 cake pan and it came out perfectly. It took about 70 minutes to bake. Beautiful and delicious. Great cake! It was delicious. Made it exactly as the recipe directed. Used a spring form pan, with a oven bag as a liner, to avoid leakage. Worked like a charm! This will become a family favorite without a doubt. I’ve made this several times since Thanksgiving, 2017. Have used cranberries, blackberries, blueberries, and pineapple. All were delicious! I’m going to give it a try with pears, apples, and perhaps even strawberry & rhubarb (one cake for each, not all together). I’ve also substituted 3/4 cup regular yogurt or 3/4 cup buttermilk for the Greek yogurt and milk. Thank you for a wonderful and flexible upside down cake recipe! My Boyfriend is allergic to eggs, but I am sure that he would love this! I am wondering if anyone has tried this recipe with an egg substitute? Elise, I love this dessert around the holidays–it’s just so beautiful! However, the center NEVER is baked all the way through, even when keeping the temp at 350 the entire time (I do make this with a GF flour blend so that may be part of my problem, although it seems others struggle with it as well). I recently bought a Bundt pan with hopes that that will solve the underbaked center (because there is none! ), but would I need to alter the batter part of the recipe at all to prevent it overflowing the pan, or not baking to doneness since it will be thicker? Please share your thoughts if/when you get a chance. Thank you! Hi Deb, have you ever tried using Bake-Even Cake Pan Strips? They help moderate the temperature of the cake pan for more even cooking. Yes! It worked great. Tasted the same like the fresh one. Just wrap in plastic wrap first, and in foil. Love your site and have been using your recipes for over two years with much success :) Until I made the upside-down cranberry cake tonite. Followed recipe exactly.. it did not bake in middle at 325 for 60 mins. Looked baked and came out clean.. outside was okay lol. Perhaps baking it at 350 in my oven might do it ? Love the flavour. Hi Roxie, every oven is a little different. Perhaps in yours it just needs to be cooked a bit longer. Hi Roxie, I also recommend using Bake Even Strips. Have you ever heard of those? They are strips of material that you soak in water and wrap around your baking pan. They help cakes cook more evenly. This looks really similar to a microwave (if you can believe that!) cranberry coffee cake that my mom used to make for breakfast sometimes in the 80s and early 90s! The recipe was from a book that came with her microwave and got lost or given away at some point during a move between countries. I’ve been looking for the recipe ever since as it was delicious, the whole family loved it! I think I will give this a try! Thank you!!! Hi Elise- Could I use a bundt pan! Hi Shannon, I haven’t made it in a bundt pan, but if you do, please let us know how it turns out for you! My grandson and I made this for a potluck Christmas party in a bunds pan. It was delicious, BUT, the cranberries weren’t very pretty. They turned more brown than the photo shows and did not look very appetizing. Nobody touched it, except my family! There was over 100 people there! Hmmm, that’s weird! Maybe try to make it in a regular cake pan? Or show part of it sliced already so you can see the redder cranberries that have sunk into the cake a bit? I love this recipe! I make it for Christmas or Thanksgiving and everyone always loves it!! My favorite thing about it is the gently scented cake. Just a beautiful combination of spices. I have passed this recipe along to many friends. And they love it too!! I’m so glad you like it Carmen! We made this beautiful cake and reviewed it on our baking podcast, Preheated. Easy to make and so pretty! Thank you, Elise. It was a big hit at my holiday party. What a great podcast, thanks so much for reviewing! Made in individual ramekins for bringing to friends dinner party. Love that idea! Did you shorten the baking time? Thank you. My family loved it. I did have to find an alternative to the cake pan, so I used my dutch oven for this and it worked great because I was able to make the caramel, then add the berries and batter and whoosh into the oven.